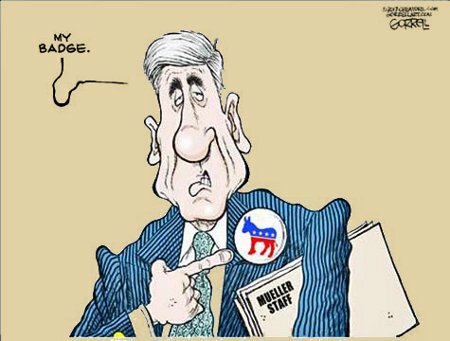 What Authority Robert Mueller, the Democrats Witch-Hunter General, possesses to “investigate” President Trump’s administration, family, or campaign personnel is inherently illegitimate since it stems solely from an illegitimate source, the Democrat party. As such, American patriots need not – and need not to – accept anything that his attempted coup d’etat “uncovers,” not that there is anything to uncover. Admittedly, that’s a harsh statement and a statement that will “offend” the Liberals and Progressives; they’ll cry fascism in all likelihood. I don’t care – beyond being happy with their outrage as it lets me know I’m in the right. The Dems are no longer a legitimate source of law or authority. Their primary agenda is the destruction of Trump Administration and the Trump family itself, and their secondary agenda is the destruction – by lethal force, if needed – of the GOP. This entry was posted on Monday, August 14th, 2017 at 5:37 am and is filed under Politics. You can leave a response, or trackback from your own site.